Mama's chill when she gets taken care of, but often it's Mama who ends up taking care of everyone else. Enter here for something special just for YOU. We’ve collaborated with Rad + Refined to bring you an exclusive contest! Rad + Refined is giving away a style box filled with prizes from Mink Pink, House of Harlow, Spa’s, and more, valued at $500.00. 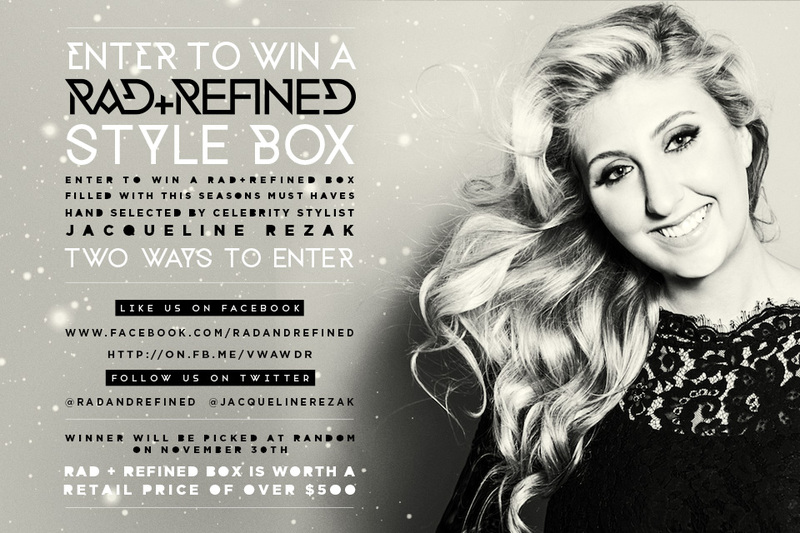 Celebrity stylist Jacqueline Rezak has chosen $500 worth of amazing stuff to put into a "rad + refined style box" for a giveaway! Rad Style Box Includes HIPPXRGB Nail Polish, Mink Pink, House of Harlow, Gift cards, Spa Treatments and more! The Winner will be picked at random on November 30th!